A splash of white on the splash of red. 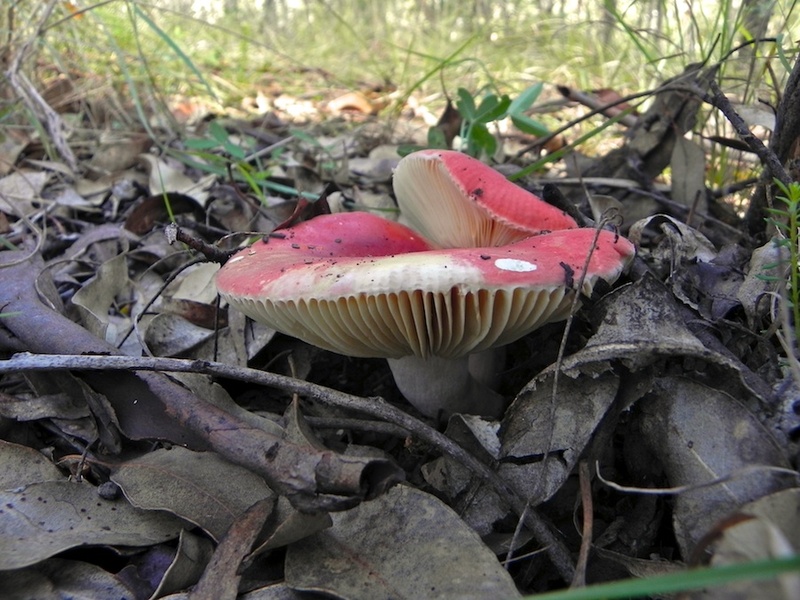 Russula sp. These are typically red or purply red, with a bright white or pink stem. The Russulas range from mild, to horrible tasting, to poisonous, so generally not a good idea.